Note: Article and photos submitted by Patti Bandi. 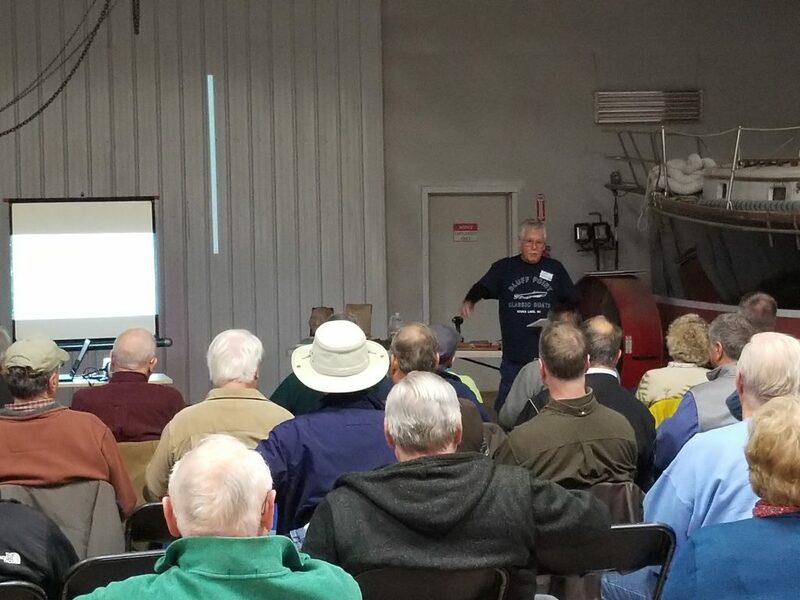 The Wine Country Classic Boat Chapter held their annual fall workshop on Saturday, November 3rd at Hullings Hulls in Penn Yan, NY. A total of forty-three members from the Wine Country Classic Boats, Niagara Frontier, Finger Lakes and Thousand Islands chapters were in attendance to listen to a number of interesting presentations. Pam Gratzer organized the event. 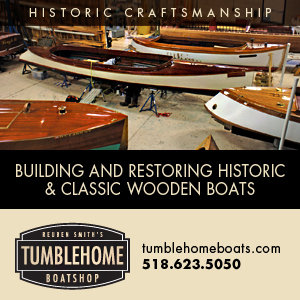 Cayuga Wooden Boatworks started in 1991, travelling from marina to marina, reparing one boat at a time. Over the years the business has grown in size and scope to become a leader in restoration and repair. Their employees include carpenters and cabinet makers to ship’s captains, mechanics and engineers. These skills have them involved in the restoration of mid-size antique, classic, contemporary, power and sailboats. 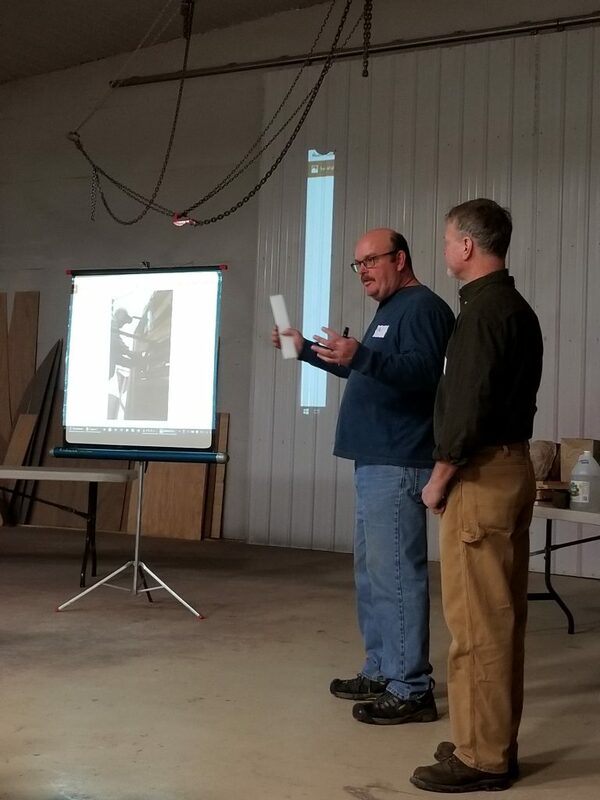 Phil shared his vast restoration experiences as well as projects they are currently working on. Ken attended an in-depth course at AWLGrip Paints and Finishes. He shared some of the latest developments and insights from the manufacturer. Jim Hawer presented Chasing Classic Boats – A Focus on Vintage Race Boats. Jim is a long time member of the Wine Country Classic Boats, boat show judge and flea market extraordinaire at the annual Antique Boat Museum Boat Show in Clayton, NY. Jim shared much about DOC’S I-1 amazing history including its relationship to a boat named “Dixie Baby” which was at the Hammondsport Boat Show two years ago and is now part of the collection at the Antique Boat Museum in Clayton, NY. 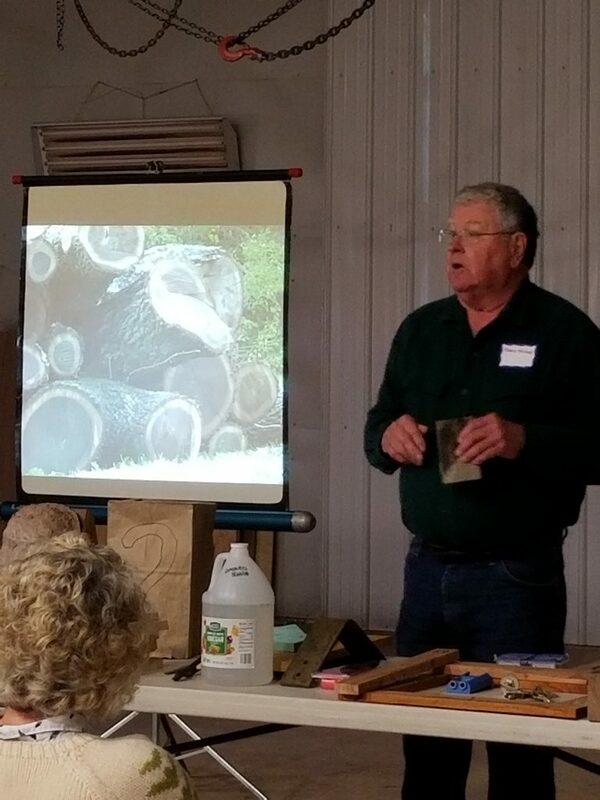 The final presentation titled, Tips and Tricks in Working with Wood, was presented by Terry Holland. Terry showed useful and magical tricks he has up his sleeve.